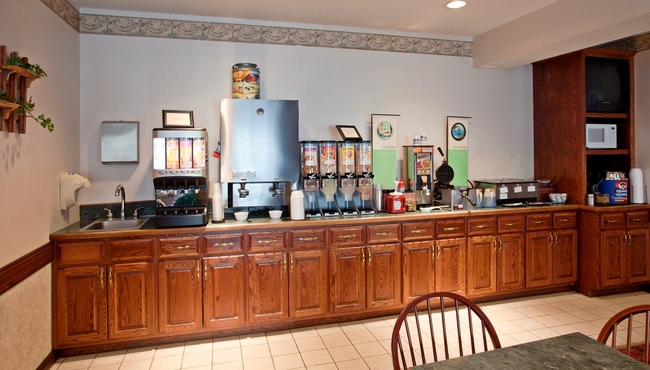 Before you host an on-site meeting or head into Minneapolis for the day, fuel up with our free, hot breakfast served daily at the Country Inn & Suites. You can drizzle syrup on a waffle, spread cream cheese on a bagel, or choose from a rotating selection of hot items. In a hurry? Grab a muffin and a coffee to go. When lunch and dinner roll around, you can enjoy dining at one of several restaurants near the hotel, including Perkins and Hajime, which are right next door.